Atanasovsko Lake is a hyper-saline lake of firth character in its northern part and lagoon – in its southern part. A substantial part of its area is used as saltpans, where primitive salt extraction techniques are preserved. The lake is located to the north of the city of Burgas, immediately at the seashore. It is cut by the road Burgas – Varna. Atanasovsko lake features a considerable diversity of habitats. Most typical are the shallow saline water pools with no vascular vegetation, separated by dykes and other vegetation-free sections, or overgrown to a different degree with Salicornia europaea. At certain spots among them there is vegetation typical for the freshwater pools, dominated by reed mace Typha angustifolia, Typha latifolia etc., and reedbeds Phragmites australis. Around the lake there are small freshwater marshes, wet meadows, a system of canals, overgrown with marsh vegetation, and dry terrain, where species like Artemisia campestris, Poa bulbosa, Lolium perenne, etc. prevail. 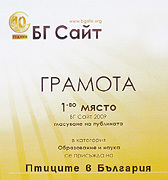 (Bondev 1991; Yankov 1993). Near the lake there are huge arable plots, while its southern part borders on the city’s living quarters. Atanasovsko Lake is a part of Burgas lake complex, which is one of the three most significant wetland complexes for congregations of waterfowl along the Bulgarian Black Sea coast. 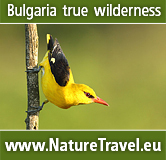 The region of Atanasovsko lake currently supports 288 bird species, 84 of which are listed in the Red Data Book for Bulgaria (1985). 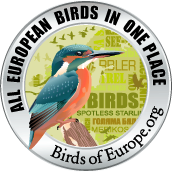 Of the birds occurring there 127 species are of European conservation concern (SPEC) (BirdLife International, 2004), 19 of them being listed in category SPEC 1 as globally threatened, 28 in SPEC 2 and 80 in SPEC 3 as species threatened in Europe. The area provides suitable habitats for 105 species, included in Annex 2 of the Biodiversity Act, which need special conservation measures, of which 103 are listed also in Annex I of the Birds Directive. The main part of the Bulgarian populations of the Avocet Recurvirostra avosetta, the Sandwich Tern Sterna sandvicensis and the Kentish Plover Charadrius alexandrinus breeds in the area and because of this it is the most important site for these species. Atanasovsko lake is located at the Via Pontica migration flyway and is typical bottleneck migration site for the migrating soaring birds from Northern, Eastern and Central Europe (up to 240,000 storks and up to 60,000 raptors). It is the site with the biggest concentrations of migrating White Pelican Pelecanus onocrotalus, the Dalmatian Pelican Pelecanus crispus, the Marsh Harrier Circus aeruginosus and the Red-footed Falcon Falco vespertinus in Europe and second (after the Bosphorus) in terms of concentrating Lesser Spotted Eagle Aquila pomarina. Together with the other Burgas lakes it is one of the favourite night roosts for pelicans and storks between the Danube delta and the Bosphorus. Considerable numbers of Pygmy Cormorant Phalacrocorax pygmeus and Spoonbill Platalea leucorodia frequent the lake during this period. The exceptionally rare and globally threatened Slender-billed Curlew Numenius tenuirostris has also been established there on migration. Since the lake does not freeze in winter, it is a site with international importance for the concentrations of wintering waterfowl, including the Dalmatian Pelican P. crispus, the White-fronted Goose Anser albifrons, the Red-breasted Goose Branta ruficollis, the Shelduck Tadorna tadorna, the Avocet Recurvirostra avosetta, etc. The Atanasovsko lake is situated in the suburbs of the second big city along the Black Sea coast – Burgas. The lake is under big anthropogenic pressure because of the vicinity of the densely populated city, and the international airport situated east from the lake. The lake is used for salt producing in traditional way and the wetland habitats there highly depend on this particular land use. The main threats to the site are change of the old dykes with new ones, as well as water pollution of the surrounding canal. Overgrown of the dykes with vegetation cause loss of breeding places for ground nesting birds. They are affected also by the increasing number of predators - feral dogs, jackals, etc. During the recent decades the management bodies of the saltpans is changed very often, which is followed by change of the management policy and indirect impact on the wetland habitats. Regular visits of many people in the wetland, as well as illegal collection of Artemia salina and the poaching cause disturbance to birds. An international road crosses the south part of the wetland, which cause significant waste and noise pollution, as well as killing of small animals, including birds. The electrical power lines around the lake, as well as those, which cross the southern part of the wetland, are the reason a lot of birds to be killed there. 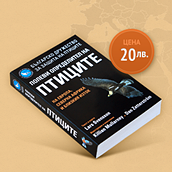 The vicinity of an international airport to a bottleneck site for migratory birds is a real danger both for the safety of the aircrafts and for the migrants, especially if the airport increases its capacity to serve more planes. A project for expansion of the living complexes close to the lake is going to increase the pressure by the urbanization. In the area surrounding the lake there are investment project for development of wind turbine farms, which cause disturbed movement and mortality of the birds, as well as fragmentation of the habitats used by migratory and wintering birds. They will be a barrier for thousands of migratory soaring birds and night migrants on their flyway to the south and north and will cause significant mortality of birds and further decline in their populations. So far 27% of the territory of the proposed SPA is under protection according to the national nature conservation legislation. The north part of the lake has been declared as nature reserve in 1980. The whole area of the reserve is owned by the State. 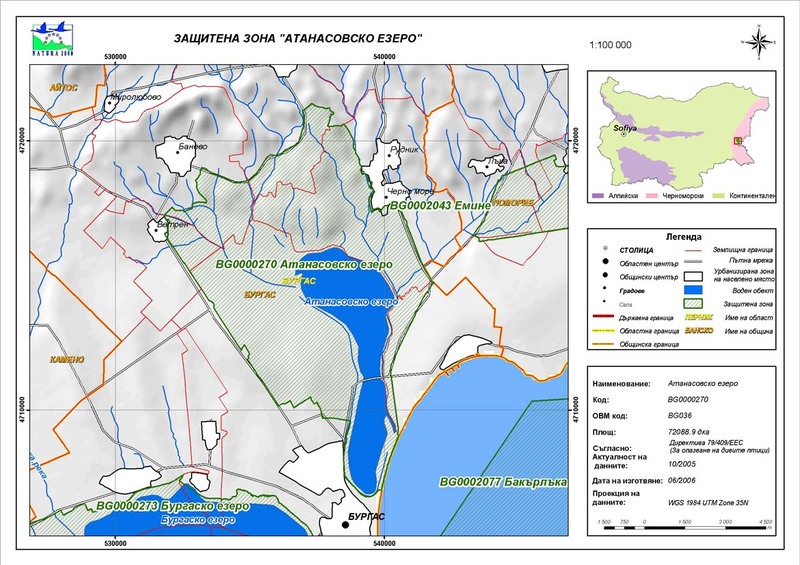 The south part of Atanasovsko Lake together with a belt of about 200 m around the northern part has been declared as a buffer zone of the reserve in 1981. The land in NW, N, NE and E directions is a part of the buffer zone is owned by the Municipality Burgas; a piece of the buffer zone in north and western part is private. The northern part of the lake was re-categorized as maintained reserve according to the new Protected Areas Act in 1999 with some activities permitted until approval of the management plan. Atanasovsko Lake was designated as Wetland of International Importance under Ramsar Convention in 1984 and its territory is enlarged in 2003. In 1989 the lake was designated as Important Bird Area by BirdLife International. In 1998 the area is appointed as CORINE Site because of its European value for rare and threatened bird species.